I greet Antigua Sailing Week (ASW) with mixed feelings. On the one hand, I’m living the fantasy of many fellow stay-at-home parents – I’m leaving my family for three weeks to pursue my own ambitions, and leaving my husband to do all the things that I usually do. But, on the other hand, I worry about my family. As my blog name indicates, I am becoming a sailor, with strong emphasis on the word “becoming”. In truth, I would describe myself as a stay-at-home mom of four young children who enjoys being outside and has a sense of adventure. I own a custom-made bicycle, which I call “the purple beast” and stored away in a dusty box somewhere are my climbing harness and crampons. But, ASW will be my first foray into sailing. At the moment, owning our catamaran feels like we’ve bought a sports car and I can’t drive shift. At ASW, I’m sailing with Ondeck Sailing on a Farr 65, and I’m told that the bunk-style accommodations will be like camping in the rough. I’m looking forward to meeting some people who are passionate about sailing, being part of a team, and building my skills as a sailor. Today, I spent three hours grocery shopping, purchasing food as though we were about to hit ration status. 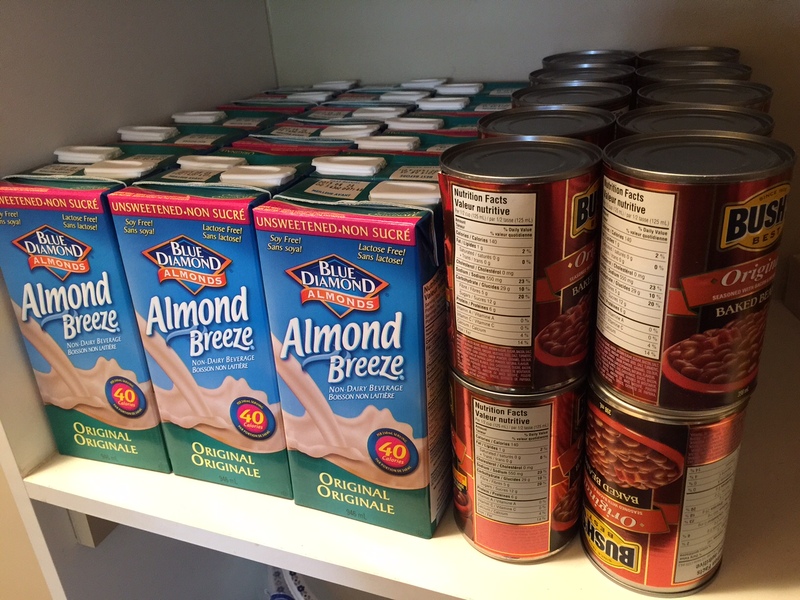 We now own 18 boxes of almond milk, 20 cans of baked beans, and 12 cans of tomato soup. I bought chicken fingers and oven fries. Meanwhile, as I worry, my eldest son, Paul, tells me that he is excited, and is counting the days until dad is in charge. Dad lets him watch television before school. My husband reminds me that I’m a phone call away. And, he is busy turning our living room into a used furniture store. 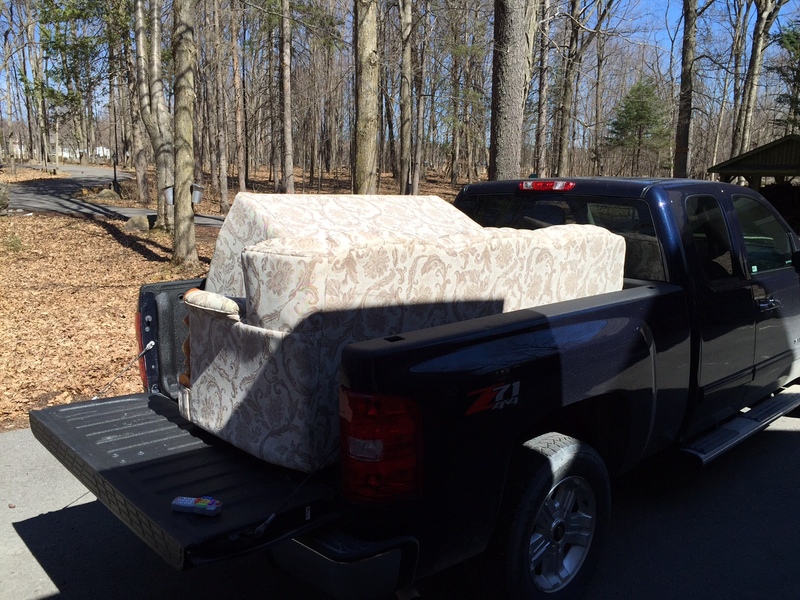 Today, he sold our living room set – couch, love seat and chair – and our living room rug. Next, he plans to sell our lamps, tables, and gym equipment. On Wednesday, before I leave for Antigua, I will pinch my eyes tight. I will think about my family, and then I will try to remember what our house looked like. I have no doubt that my husband will empty it of many of the contents by the time I return. When he sets his mind to something he tends to run with it. And, when I get home I expect to have some sailing skills, a tan, and a greater, expanded understanding of self – whoever that may be – when I’m not at home and looking after young children. good luck! Being alone (at least from the people who make up your world) by choice is almost always empowering. You’re going to have a blast!